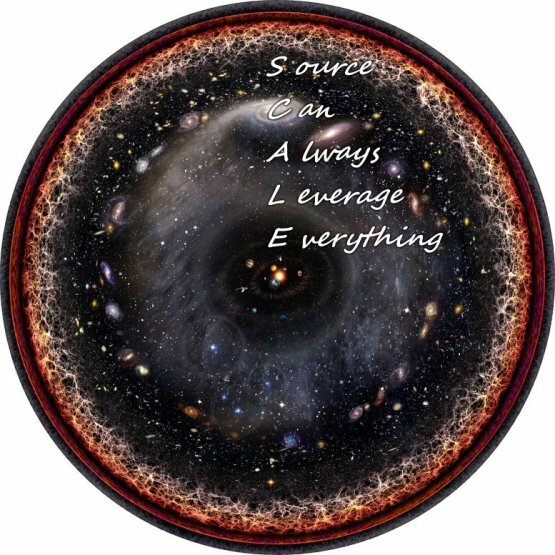 The above image is a depiction of our universe from our perspective: we are at the center, and the circumference is how far we can look back in time towards the origina of the universe. It is as beautiful an example of scale as I could find on the web. And yet, this is not the full reality in my view. In case you hadn't noticed already, I am a believer in the multiple (or even infinite) universes theory. Fortunately, my beliefs do not require you to believe them. I am not aiming to convert, but merely reinforce the beliefs of those who have already made up their own mind by thinking for themselves.